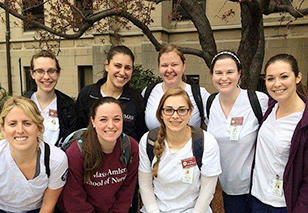 The UMass Amherst College of Nursing Alumni Association is led by dedicated board members who work to advance and support alumni, students, and the College. All alumni are welcome to attend board meetings, whether in person or electronically. If you would like more information on working with the alumni board, please email Ben Monat at BMonat@umass.edu.